California. Beaches, sunshine and surfing, but so much else as well if you look closely enough. 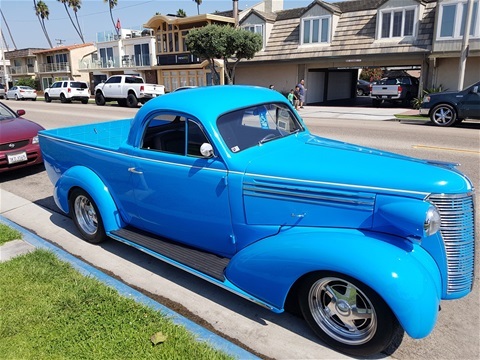 Now, Here's the Perfect Truck for the Beach. Yesterday we were in the heart of LA. Dense traffic, crowds of people, pollution and noise. Today has been very different, even though we’re less than twenty miles away from the vast sprawling metropolis of Los Angeles. 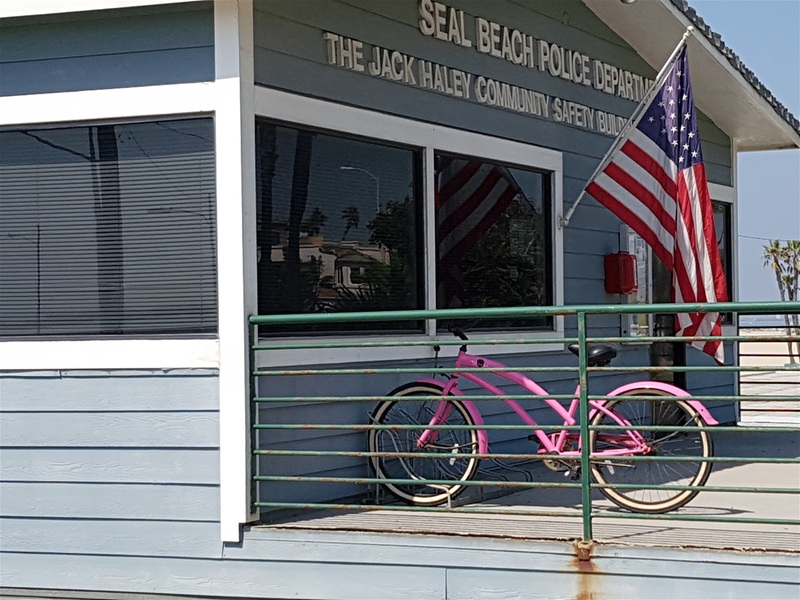 Our first stop was Seal Beach, along the coast road leading to San Diego and all points South. There’s a beach here, the clue is in the name, a Main street with a variety of shops and restaurants and a pier jutting out into the ocean. That’s about it. Oh, apart from one other thing, but I’ll get around to that later. We parked, for free, in Main Street outside a brilliant, very authentic, Italian deli and walked up one side of Main Street and back on the other. It didn’t take long. Stars and Stripes flags decorated both sides of the street and the place gave off a warm glow, reflecting a bygone era after the ceaseless bustle of LA. In a side street, the splendidly named Electric Avenue, next to the Mary Wilson Library, was a bright red railway carriage. It’s the sole exhibit of The Red Car Museum, but sadly, it was closed today. 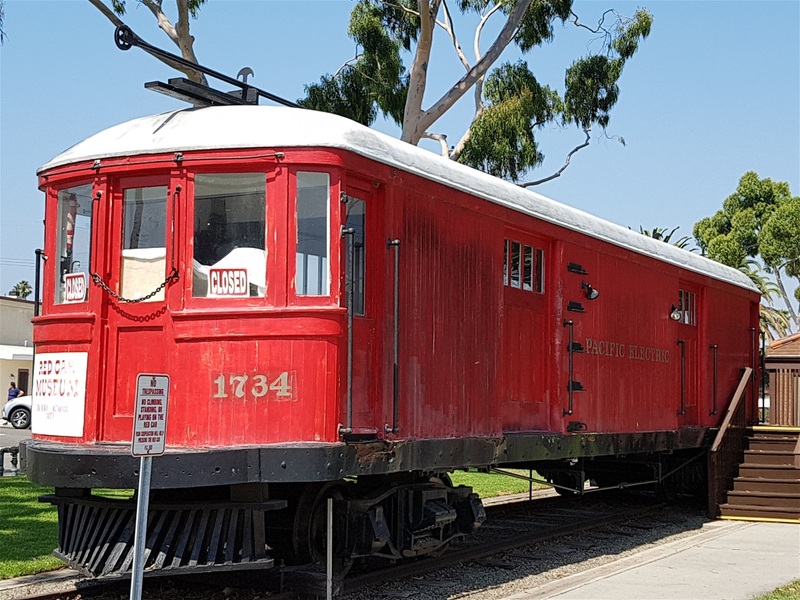 Pacific Electric Right of Way Car number 1734 is a rare Pacific Electric tower car built in 1925. It was once a roving machine shop sent out to troubleshoot problems along the 40-mile Pacific Electric LA-Newport Line. This tiny museum is staffed by volunteers with an evident passion for their subject. A leaflet revealed us what we could have experienced if it had been open today. Inside the Red Car are numerous photographs and of times gone by. Books of matches, bingo cards, tickets, hat pins and photos of sea shells may not sound much, but it’s good to see there’s still a place for such trivia in the age of the Internet. We spoke to a local who said the his grandchildren loved the museum so not just for old fogeys then. It was getting hot so we picked a café at random for a cool drink. I’ll not name it, not their fault, but it was one of those ‘healthy’ places where everything has to be biologically sound and ethically sourced. Marigold asked for a Diet Coke and I thought the lad behind the counter was about to faint from shock. 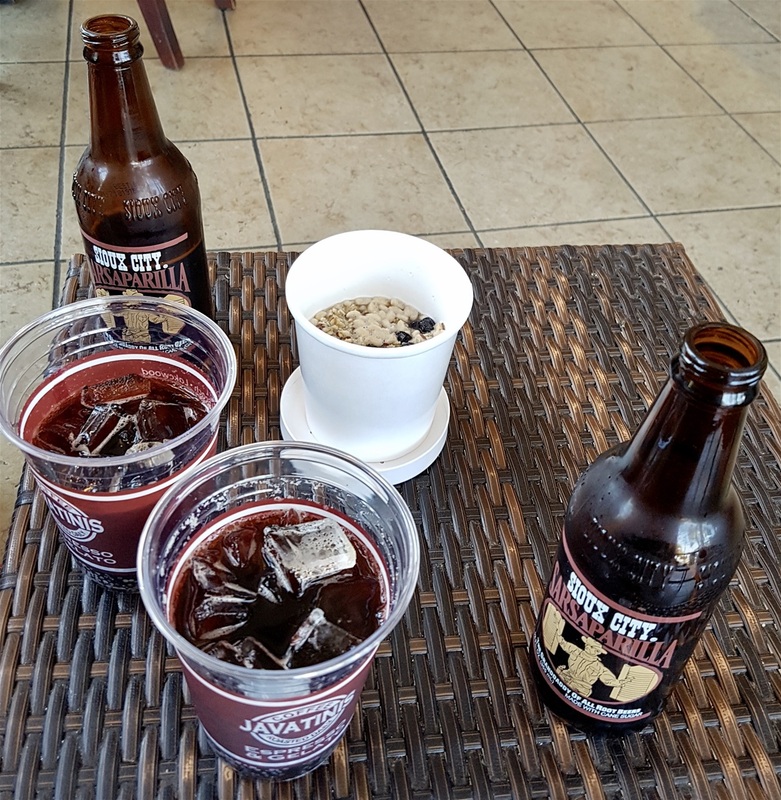 We settled on the only cold drinks they had available, glass bottled sarsaparilla (with a plastic straw, tut, tut), and ‘hand ground oatmeal’ i.e. porridge. The porridge was served in a (tiny) styrofoam beaker, microwaved to boiling point, and the sarsaparilla was just disgusting. Packed with cane sugar, the main ingredient judging by the taste, massively calorific but ‘caffeine free’ it was vile. We’ve had worst pit stop experiences, but can’t remember when. The pier was great. 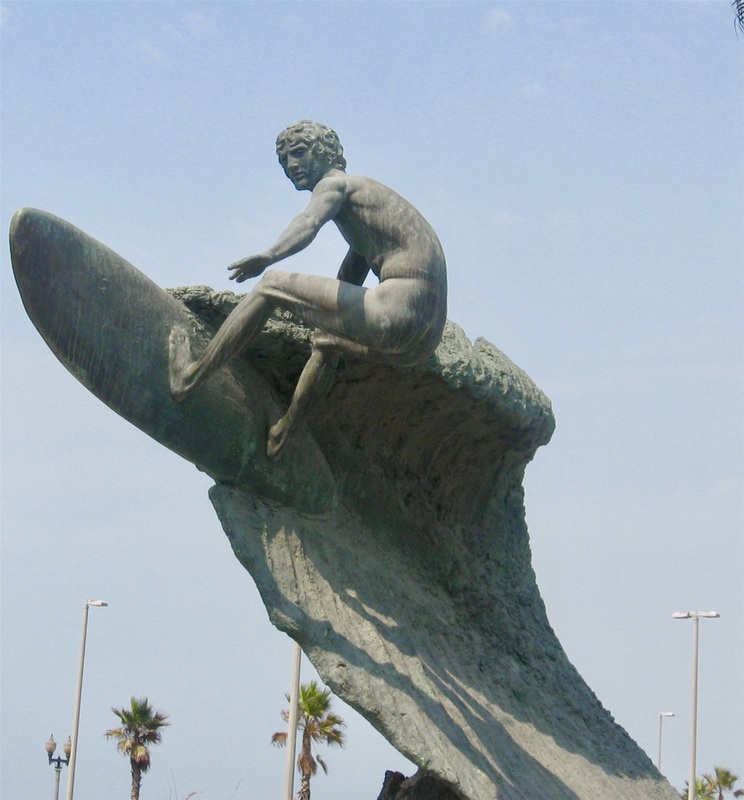 There’s a statue of a sea lion on it, not a seal which seems odd in a Seal Beach. Perhaps they only noticed after it was installed and by then it was too late. A few surfers were out, but the waves weren’t great. Good to see some ‘old school’ surfers in just a pair of shorts, no wet suits. That was Seal Beach. Or was it? There’s a couple of US Navy warships out in the bay and that gives a hint to what else is here. On the road in we passed some mysterious grass-covered bunkers surrounded by a heavyweight chain-link fence. They are the only things readily visible and a sign saying Seal Beach Naval Weapons Station. The base is huge, sprawling over more than 5,000 acres, dedicated to storing, loading and maintaining ammunition for U.S. Navy ships. Right next to those mysterious bunkers – where missile magazines are housed – farmers are growing fruit and vegetables. It’s a partnership between the military and the local community, sharing the land between them. I looked up some details about the Wildlife Refuge. Did you know Seal Beach Provides one of the few safe environments for burrowing owls? No, me neither. Must confess to never having heard of a burrowing owl. Other protected species include the light-footed clapper rail, least tern, green sea turtle, western snowy plover and Belding’s savannah sparrow. I'm not making these names up! So there. All safe, thanks to the US Navy. 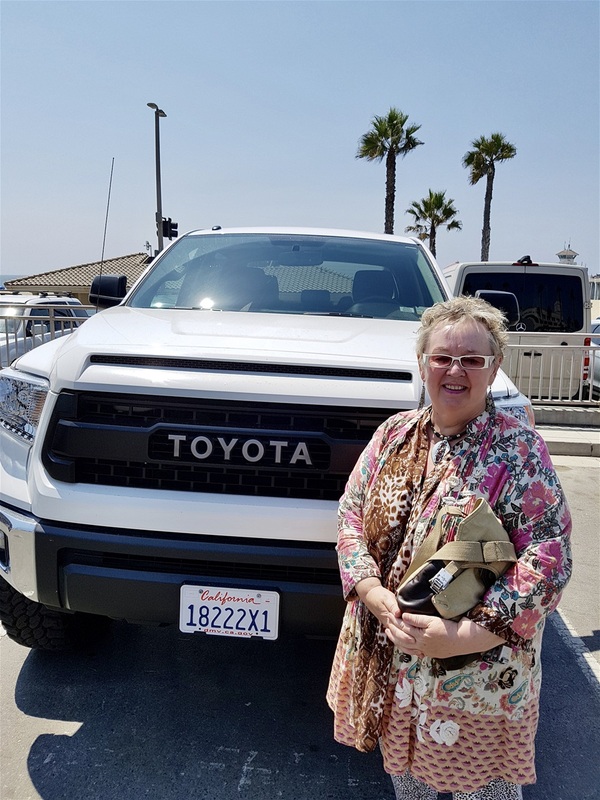 The U.S. Pacific Fleet is based just down the road in San Diego and Seal Beach is the only weapons station port within 1,000 miles of there. We chatted to a couple of military men with cropped hair, tee shirts and surfboards who’d just arrived at the beach. On motorbikes. Big ones. Yesterday we walked the Hollywood Walk of Fame. 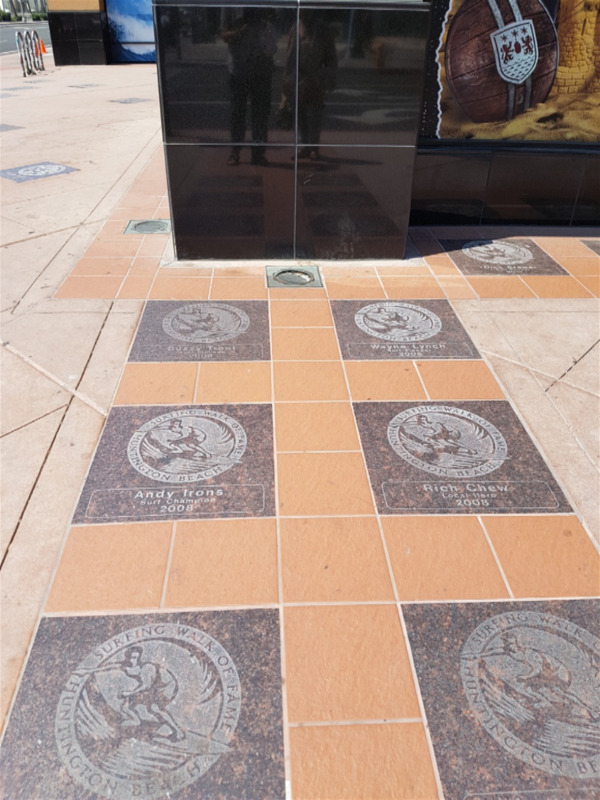 Today there’s the same thing, brass stars set into the pavement, but here those honoured are not actors but surfers, I preferred this to the Hollywood one. 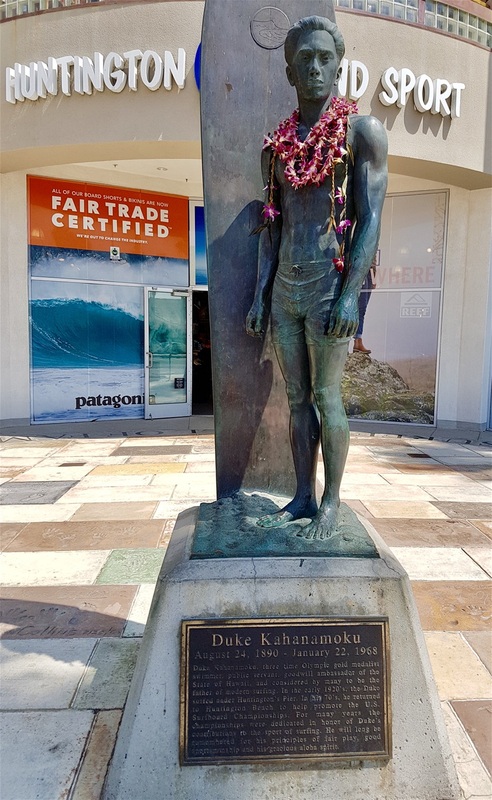 There’s a statue of Duke Kahanamoku here too. 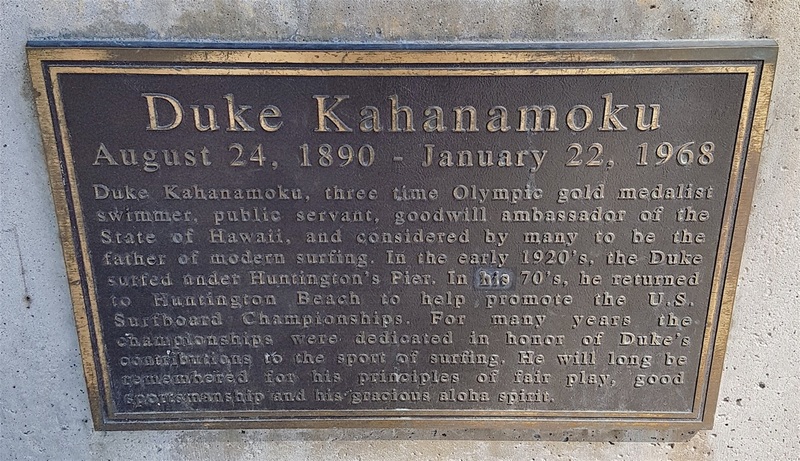 He’s the man credited with introducing the sport of surfing to California and also, later, to Sydney, Australia. 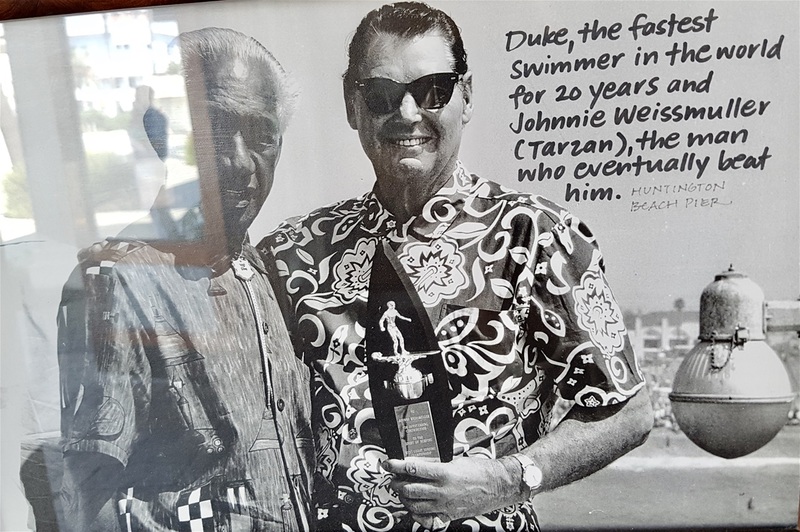 Originally from Hawaii, he was a great swimmer, winning gold medals at three Olympic Games, eventually beaten by no less than Johnny Weissmuller who became the first Tarzan. There’s a Dukes restaurant here, right next to the pier so the name lives on. 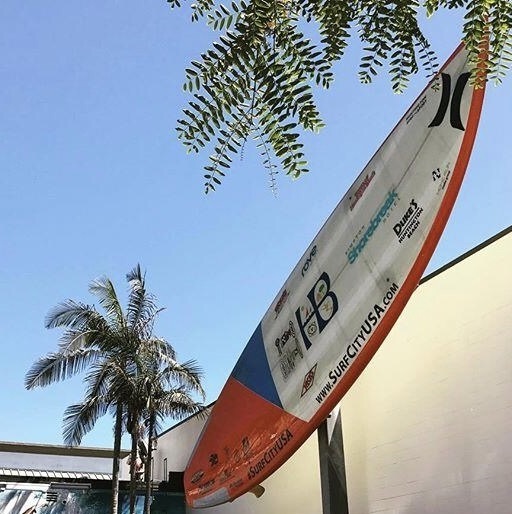 Huntington is surfing. Almost every shop sells surfing gear and the cafes and restaurants are surfing themed as well. 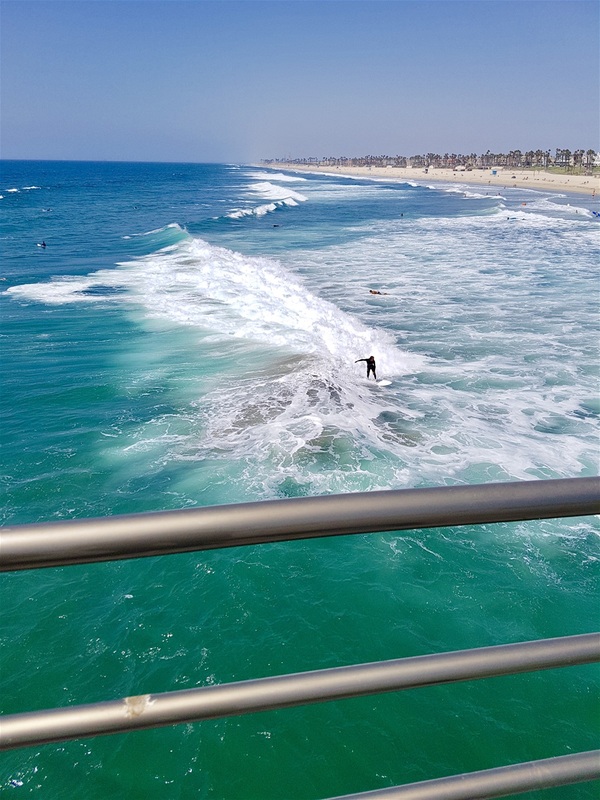 We walked the long pier, watched the surfers, and stepped carefully around the fishermen as they reeled in their catch. Impressive. Ruby’s Diner at the end of the pier has the the authentic diner look of shiny red chairs and benches and waitresses with aprons and a pad and pencil. We had lunch in a beach shack underneath Dukes. It said ‘beach shack,’ but had big TVs screens showing sports and was packed. Good food and waitresses with very short shorts, not that I noticed of course. Need to check out The Wedge, a legendary wave not far from here where 30 foot waves are common, but not today as it is hot and we need to get settled. 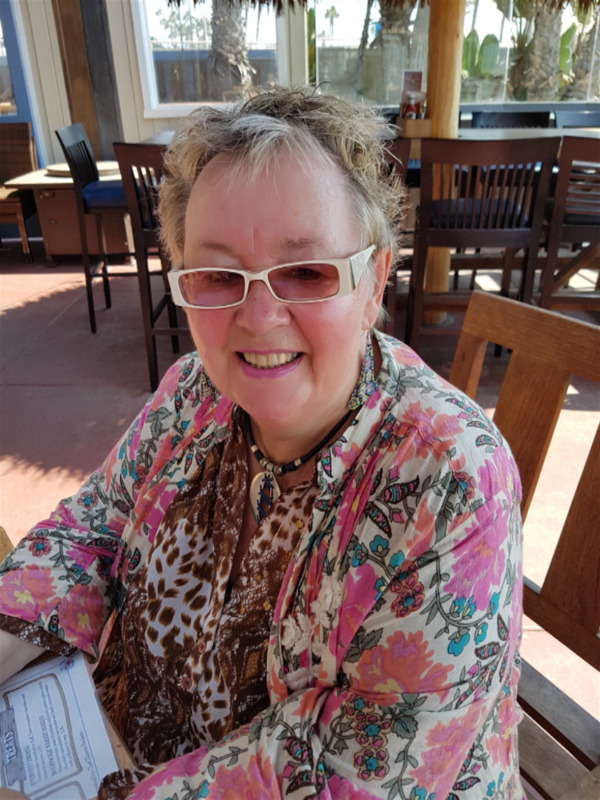 Find a cheap price offer on a hotel, but when we arrive, three annoying flunkies dash out, opening car doors, bowing and scraping, the full works. Agh! We’re asked to give our keys to a valet while we check in, thinking he may have to move the car if it blocks the entrance I hand them over. We check in, go outside to where our car is still where we left it. No car keys. ‘They’re on the dashboard,’ a valet says. No, they aren’t. He checks, no keys. Five minutes later, under a frazzling sun with no shade, the keys turn up, in the pocket of another staff member, one we’d not seen up until now. In the circumstances, we decline valet parking. As punishment, the self parking car park is a long way away, down a steep hill. Marigold not impressed with how this hotel selection is going. My fault. Having walked up the hill once, no intention of doing it again, go and see the manager. I must have been compelling because he goes out, moves his own car from the ‘Manager’ spot outside the front entrance and says we can park there. Result! Marigold may be impressed with my polite insistence, she hasn’t actually said so yet. ‘Whisky and hookers,’ he says, 'best night of my life,’ and they all screech with laughter. Someone else points to the TV screen and says, ‘we’re from Florida, isn’t that storm something?’ And the ‘whisky and hookers’ man shouts out, ‘well, your house will be gone when you get back’ and they all roar with laughter again. Very odd. Pure class. Those hookers certainly earned their money. His wife/companion is wearing a blouse and shorts combination not unlike the sort of thing that used to come free as a paper pattern in Woman’s Weekly circa 1955. The pattern is so garish it should carry a migraine warning. We decide we should move before they start talking to us. We convince ourselves we can manage without a bar snack after watching three children devouring nachos and dips on the terrace outside and two of them being sick. The third child kept on munching. His parents probably approve as they must weigh about as much as our car and are working their way through their latest ‘snack.’ Half a banana, in our room, (not a euphemism!) seems more and more inviting so off we go. Is this the Sheriff’s bike? Hope not.